These photos were taken on warmer days, when LA still felt like a furnace and the only possible clothes were of a cropped nature. Not that I’m complaining… I’m beyond happy that it’s cold enough to at least wear sleeves. Up until the last few days, we were suffering through the hottest Indian summer I can remember in years. On days when it feels like you’re melting, it seems only fitting to wear a pair of jeans that are a bit spicy themselves. 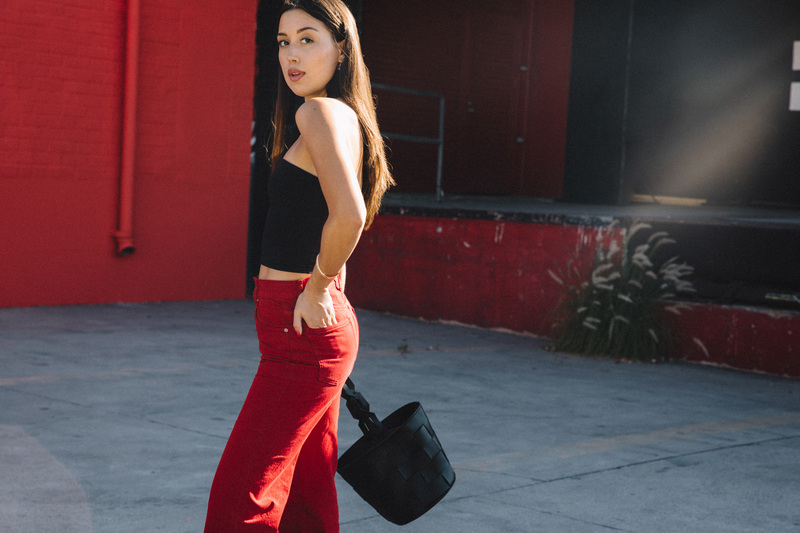 As the owner of nearly every shade of denim, I’m surprised to say that these cropped culottes were my first pair of red jeans ever. I used to be a strictly neutral color scheme kinda gal, but since experimenting with bolder colors like this, I’m excited to try it out more this fall and winter. 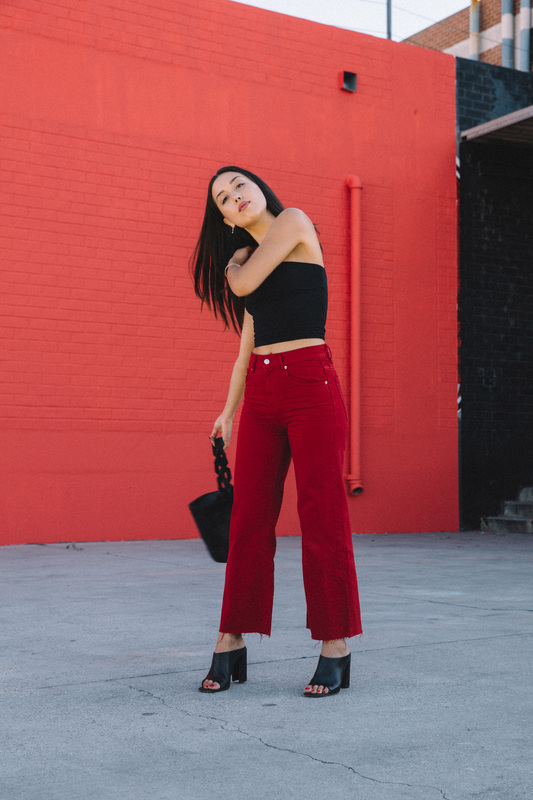 I’m loving the bold red trend at the moment, and I can definitely see myself in some chunky cable knits, mom jeans and leather jackets all in this edgy shade. There’s something so chic about the contrast of red and black together, and clearly it’s a color combo I’ve been loving lately (see how I styled it in high summer for a night out, here).